Home - What Happens When Architecture Meets Horror? 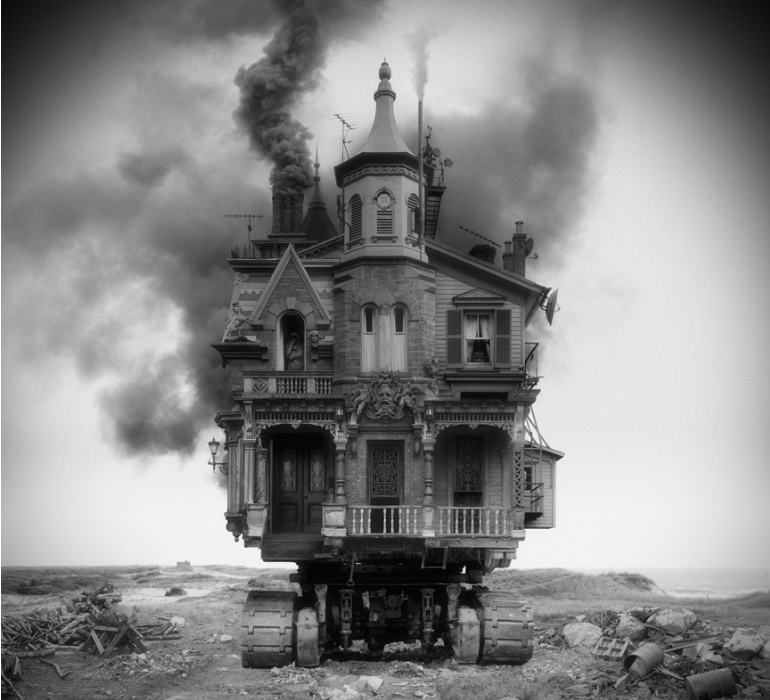 What Happens When Architecture Meets Horror? 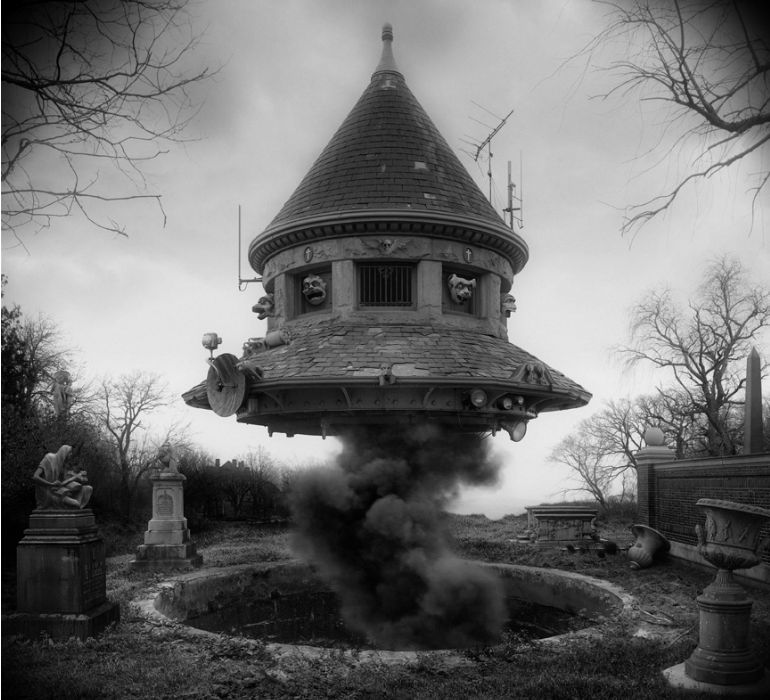 Jim Kazanjian brings out the horror in architecture. 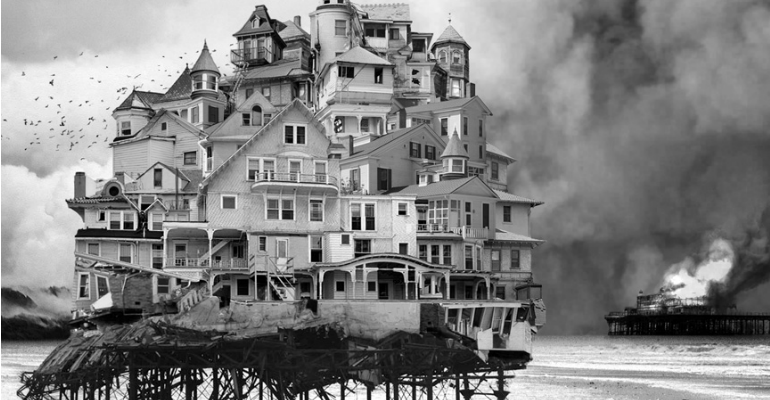 Portland-based photographer Jim Kazanjian‘s collages immediately provoke a sense of terror and foreboding in the viewer. 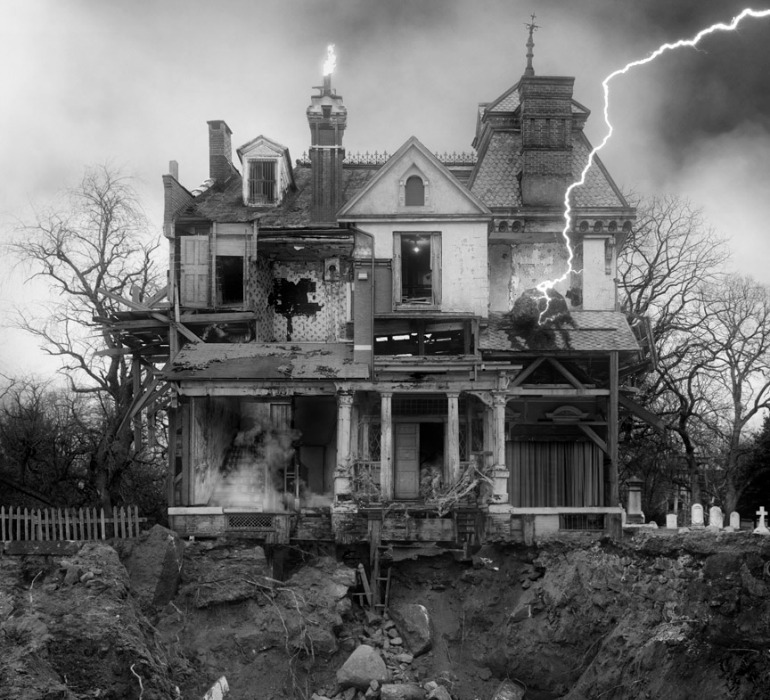 The black and white images of mutated buildings are influenced by the magnificently weird horror fiction of H.P Lovecraft and the artists own background working in CGI film and video game graphics. Kazanjian’s images contain elements which viewers will be instantly familiar with and at once unsettles by digitally combining them with the nightmarish. Many of the images are made up of up to 70 seperate photographs taken throughout the last century spliced together seamlessly for deliberately unnerving effect. 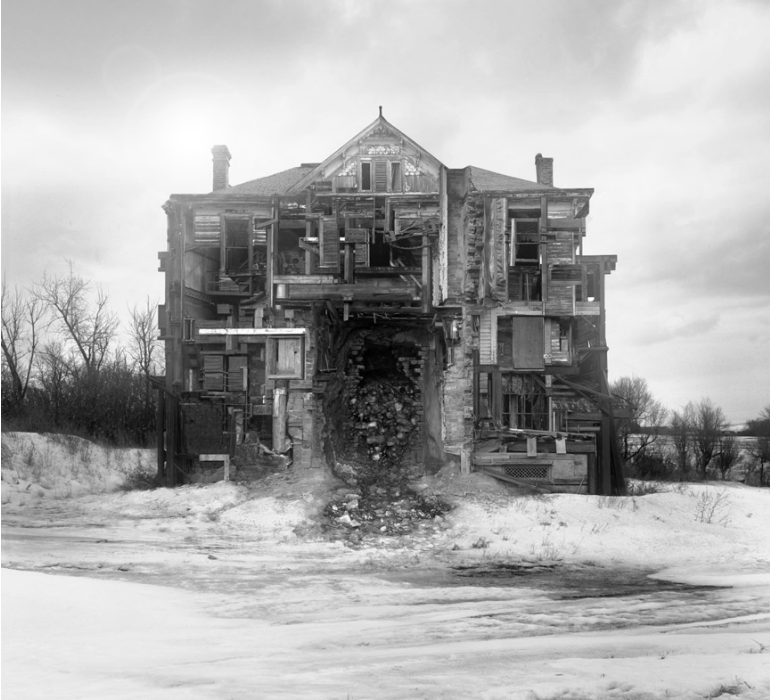 The combination of sink holes, extreme weather conditions and architecture in varying degrees of decay create brilliantly atmospheric images and is testament to Kazanjian’s dedication to finding the correct visuals and merging them with an unwavering attention to detail. Kazanjian’s twisted take on reality has caught the attention of various brands such as Adidas, Nike, NASA and Intel – all of whom he has worked with. Sam Turner has 9 articles.